Music on Main welcomes the Neighbors to Talia Espresso on Friday September 12. Doors will open at 6 with the show beginning at 7. Tickets are available by calling 336-990-0746 or at Talia Espresso during normal business hours. 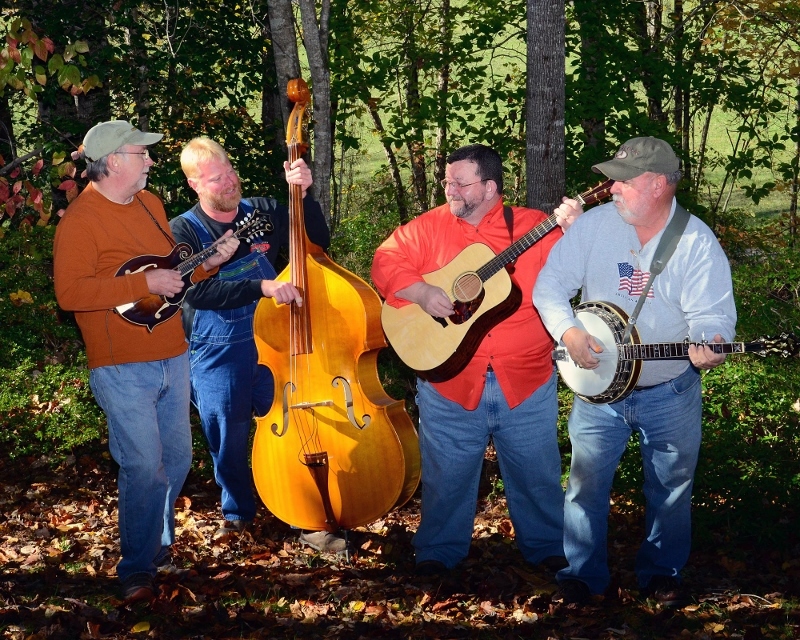 The Neighbors’ is a bluegrass band located in the foothills of western North Carolina. We play traditional and modern bluegrass with a twist of folk, country, blues, and rock and roll. They use traditional bluegrass instruments to play many styles and types of music. Bob Henson is our lead singer and guitar player. Gary Saunders sings harmony and plays banjo. Todd McCloud plays bass and sings harmony. Rick Everhardt plays mandolin. The group has made several local television appearances and has been on syndicated and internet radio. “The Neighbors” were invited and performed at the Bronzewound Showcase at the 2008 IBMAs in Nashville, TN. “The Neighbors” have completed an enjoyable five years at Merlefest; 2009 through 2013. Our sets have included the Walker Center, Plaza, Creekside, and Welcome stages. We also had a great time entertaining the kids at Boomer and Moravian Falls Elementary School for the Merlefest schools Outreach program. Some of the tunes and pictures from our five years at Merlefest can be viewed by checking out You Tube and also right here on Facebook. For the last four years the band has provided the music for the outdoor drama at the Crossnore School in Crossnore, NC. The show is called ‘Miracle on the Mountain’ and chronicles the life of Mary Martin Sloop who founded the Crossnore School. A CD of soundtrack tunes was recently completed and is now available through the school.